Twain Harte Lake Fishing - So Much Fun For The Kids! 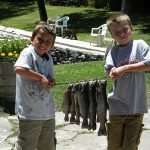 Browse: Home » Twain Harte Lake Fishing – So Much Fun For The Kids! 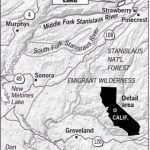 Just wanted to let everyone know that the Twain Harte Lake is stocking fish for the youngsters. Anyone under 16 can fish at the lake! They are allowed to catch up to 2 fish per day. Fishing hours are 6 pm till the lake closes. 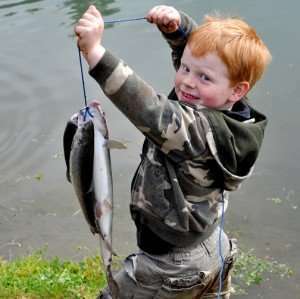 For 2013 the lake was stocked in May with a total of 450 – 12 inch to 14 inch rainbow trout. Can’t wait to see some of your family’s pictures.